Mabel Newcomer taught in the Vassar economics department from 1917 to 1957. An outstanding educator, she combines her excellent teaching and faculty leadership with her activities as a professional economist. She was known as the best "tax man" of those years. Her students' Vassar experience was vastly enriched. The daughter of one of Stanford University's first professors of English, Miss Newcomer earned both her bachelor's and master's degrees in economics at that university (1913 and 1914 respectively). Her thesis on the California experiment in permitting local governments to use the property tax was sent with her application for graduate work to a number of universities. Columbia University offered her the largest fellowship and for her doctoral dissertation she expanded her thesis to include all states which had turned over the property tax to the local government. Her Columbia professors gave her the original contacts to state and federal agencies and commissions with whom she would do research for decades and gave her the part time teaching job at Barnard where the chairman of the Vassar economics department (Herbert Mills) observed her in the winter of 1916-17. Miss Newcomer became the fifth member of Vassar's economics department in 1917. By 1926 she was a full professor. The heart of the economic curriculum had been developed by 1917 and included a two term introductory course, the famous "Econ 105," Economic History, money and Banking, the Labor Problem, Development of the Industrial Society, Public Finance, Statistics, and an economics seminar. The early course offerings included courses that would eventually come under the heading of sociology (for example, Charities, and The Family). The introductory economics course consisted of a common weekly lecture and two discussion sections (with about twenty students in each). The format remained virtually unchanged throughout Miss Newcomer's tenure at the college. The faculty were rotated throughout the sections of 105 during the year, so that each one stayed with a section for less than a term. This prevented any section from being "stuck" with an inexperienced instructor, enabled an instructor to get a fresh start, and rotated points of view among the sections. The course also had a common final examination prepared by all of those participating in teaching the course. It was graded jointly with one instructor reading the same question for all sections of the course. Thus teaching the class was a learning experience for a young instructor. The large lecture was attractive to Miss Newcomer because of the "commonality" of the experience. A large group of students went off to lunch having heard the same ideas expressed and word of luncheon discussions frequently reached the faculty in the afternoon. The weekly lecture was up-to-date and challenging- containing current Developments, any new big idea, and a well-outlined argument. The other members of the department would not necessarily agree with or approve of the lecture, but each faculty member took great care to prepare the lecture for the audience included fellow faculty. Although the 105 course was a departmental effort, it came to be known as Miss Newcomer's and it contained pieces of all of the advanced courses. Her other ongoing classes were public finance and corporations. Any student who took economics in Miss Newcomer's time was familiar with the enormous wall charts used to illustrate data about the American or foreign economies. The charts, often done on brown wrapping paper, were eye-catching, neatly done and kept up-to-date. A second technique for increasing the immediacy of economics was the use of bulletin boards covered with articles from current newspapers relating to current class topics. And many Vassar economics classes were enriched by visiting "lecturers" from the business and government community. Miss Newcomer's approach to economics was a humane one. She believed economics is a social science and as such is concerned with people's behavior. As a result, she was antagonistic to a more abstract, mathematical approach. Her interest in economics could be broadened out to include anthropology and, to a lesser extent, sociology. This is an approach characteristic of the institutionalists, under the influence of Thorstein Veblen. The Vassar economics department under her leadership eventually became ESA, economics, sociology, and anthropology. Miss Newcomer wished to place students in positions in the community where they could contribute at the same time as they learned. Students in statistics classes regularly undertook surveys at the behest of various local agencies. In the mid-forties, after years of struggling without an adequate budget, Miss Newcomer helped President Sarah Blanding prepare a grant proposal for the Carnegie Foundation, an endeavor which resulted in the establishment of the Field Work Office. Throughout her teaching career Miss Newcomer continued her economic research off campus. Vassar was supportive, granting her last minute leaves when necessary and she, in turn, was careful to do her writing in her campus office when she was teaching so she would be available to her students. Most of her work was in public finance and her specialty within the field was overlapping taxes. The record of her research appointments in the sixteen years from 1921 to 1937 is indicative of her energy and activity. In 1921-2, 1923-4, 1925-6 she was a special investigator to the New York State Joint Commission on Taxation and Retrenchment, in 1922-3 she was an economist for the educational finance inquiry, in 1925 she was a special investigator for the Regional Plan of New York, and in 1928 she was appointed Assistant to Columbia Professor Robert Haig as he directed the California State Tax Commission. 1931 found Miss Newcomer as one of the experts working on a four-year study of school finance in the United States - through the Office of Education in the Department of the Interior. In the same year she was an investigator for home ownership under President Hoover and served on a New York State commission under Governor Franklin D. Roosevelt to study rural life restoration. From 1931 to 1933 there was another investigation for the New York State Commission on Revision of the Tax Law. In 1934 she had her own Social Science Research Council A ward to complete a study of the comparative distribution of tax funds by central governments to local governments in Germany and England. In 1935-6 she was on a New York State Commission on State Aid, in 1935-7 she served as an Associate Director of the Twentieth Century Fund and in 1937 was Tax Consultant, Advisory Commission on Education for the New York State Joint Commission on Fiscal Policies. The list is undoubtedly not complete, but it is indicative of the nature and volume of her work. Throughout the Second World War she was often called upon to serve as consultant to the U.S. Treasury (studying methods of removing duplication and conflict among federal, state, and local taxes) or to serve on one of Governor Dewey's Tax Advisory Committees. She spoke out on ways to avoid post-war inflation and during the war was elected to the Board of Directors of the Tax Institute. To Vassar and to broader audiences she continued to speak on the dangers facing democracies. 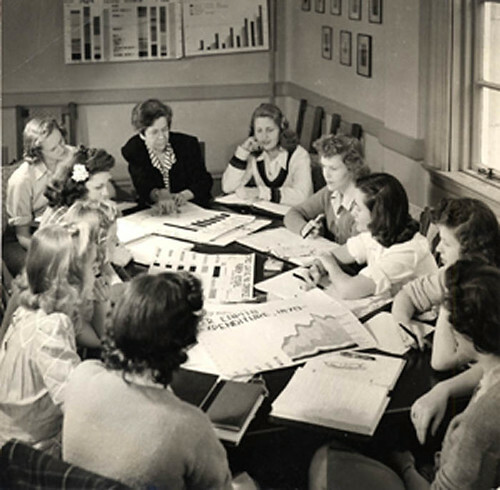 In the spring of 1944 Miss Newcomer was one of three Women recommended by the "Committee on Participation of Women in Post-War Planning" for membership in an international monetary conference to be held that summer. In June she was officially designated as an American delegate (the only American woman) to the United Nations Conference at Bretton Woods. Her selection was made by Secretary of the Treasury Morgenthau. She was not an expert on international trade, but she was known for her service to the government and she was a resident of President Roosevelt's home county. At the conference she served on Committees of Commissions 1 and 2, having to do with the definition of the purposes of the International Monetary Fund and the International Bank for Reconstruction and Development. At the meetings on the IMF she was the only woman at the table. The other women present sat behind the delegates as expert consultants; Miss Newcomer had a man sitting behind her. Miss Newcomer was expected to "sell" the program to American women. She traveled widely in the United States, speaking to many varied groups. This experience further tested her skills as a lecturer for she faced unknown audiences everywhere. In the second half of the forties Miss Newcomer served on the national boards of the League of Women Voters and the American Association of University Women, was a trustee for the Teachers' Insurance and Annuity Association, the American Association of University Professors Council, and was elected a vice-president of the American Economic Association (a plan to make her president ended when she went on a mission to Germany). Two further stints of government service on the international scene also came in this period. In 1946-7 she served as chief consultant for the Taxation and Revenue Office of the military government of the United States in Berlin (public Finance Branch, Finance Division). Her research on the German tax system in the thirties was clearly of use to her then. Her job was to decide what to tax the Germans in the American Zone. With the focus centered on the income tax, her authority on the entire tax structure was absolute, although there was an attempt to coordinate taxes between the sectors, and in Berlin authority was shared. In early 1950 Miss Newcomer was slated to leave for Korea as an advisor on fiscal policy, but the project fell through. She immediately left the country in the opposite direction, to return to West Germany as a member of a Technical Assistance Mission on German Refugees in West Germany. 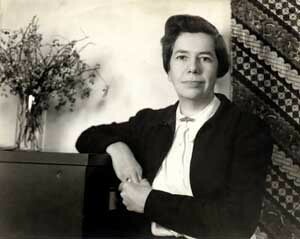 In 1953 Mabel Newcomer received AAUW's Achievement Award, the first time it was awarded to a social scientist. She used the award for two purposes: the study of chief executives of the largest corporations, their training, experience, and family backgrounds;(published in 1955 by the Columbia University Press as "The Big Business Executive; the factors that made him, 1900-1950); and further study of the role of the property tax in local finance. On the occasion of the award she delivered a major speech on a subject of great importance to her - "Citizens and Scholars". It was a timely topic in that period particularly. A scholar's function, she said, is to extend the boundaries of knowledge, to train future scholars, and to raise the level of education of all. Academic freedom is more than the right of free speech and it should not be used to protect the incompetent, the dishonest, or the disloyal. "Liberty is not license...[the scholar must) stick to his special field of competence and always give supporting evidence for his views. But within that framework he has not only the right but the obligation to state his convictions, however improbable or objectionable others may find them." In addition to her Vassar teaching, interrupted from time to time by semesters devoted to research, Miss Newcomer taught for several summers at Columbia, once at Stanford, and for three summers at the University of Chicago. Her non-Vassar teaching was always at the graduate level. Despite many offers of more lucrative jobs Miss Newcomer remained in undergraduate teaching, multiplying her usefulness as she prepared other young Women for responsible roles. Mabel Newcomer's forty years of teaching at Vassar ended with her retirement in 1957, but that was not the end of her affiliation with or concern for the college. In the first year she remained on campus to write a book on A History of American Women in Higher Education, a project funded in honor of the Centennial of Vassar College, published by Harper and Brothers, New York, in 1959. In it she raised questions for parent and alumna as well as for student and educator. Why were we educating only 25 percent of the Women capable of college work? Must early Marriage deprive Women of higher education? Were college educated Women contributing their share to American scholarship and art? Was the then current shortage of scientists, doctors and educated brains due to a failure to utilize Women's potentialities? She offered observations and judgments as valuable guides for the next century of progress. In 1958 she moved to Saratoga, California and continued to contribute her time and ideas. She traveled for Phi Beta Kappa, served on the National Board for the Consumer Federation of America, worked for the Democratic Party and worked with AAUW, the League of Women Voters, and various Co-ops in her area. Mabel Newcomer died in 1983 at the age of 91.